A fund has been set up recently for old boys and “Friends of the School” (non-Old Boys but contributors to the school none the less) to contribute to assisting boys at the school, the staff and Rector achieve some of the goals and overcome some of the challenges staff and pupils face in today’s modern day teaching and schooling environment. 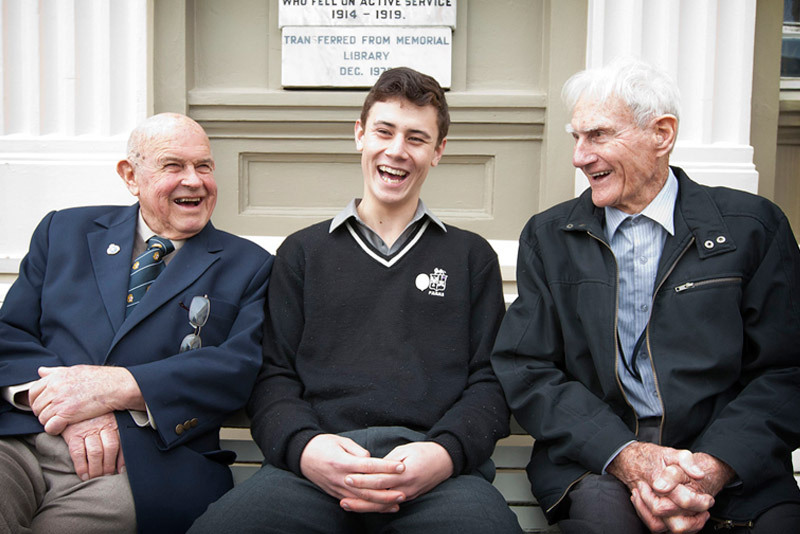 We would encourage you to consider joining your fellow Old Boys and “Friends of the School” by making a small monthly donation to this fund to ensure PNBHS continues to be one of the premier schools in New Zealand and continues to be able to deliver to the standards and values we all have come to love and admire about the school. The following is some information about the fund and how and why it was set up. The Good Buggers Fund (GBF) has been set up by Old Boys as part the PNBHS Educational Foundation Trust (EFT). The Educational Foundation Trust is a Charitable Trust, (set up under the provisions of the Charitable Trusts Act 1957) and has been in existence within the school for many years. The purpose of the EFT is to “advance education at PNBHS, assist the Board of Trustees and the Rector, to preserve and develop the ethos, standards, reputation and facilities of the school, and to provide, extend, alter, improve, repair and maintain the educational, cultural, sporting and leadership amenities, opportunities and standards for the School and its pupils and staff”. Many of the top schools in New Zealand (eg Auckland Grammar, Scots College etc) have a Foundation Trust associated with the school which the school relies on. What is the Good Buggers Fund? The Good Buggers Fund is a fund that has been set up by a group of Old Boys who contribute a small amount of money each month, that want to give something back to the school and ensure that the education and opportunities we were given when we were at school are available to current and future boys who attend PNBHS. PNBHS offers a vast range of opportunities to boys who attend PNBHS. Unfortunately, many of today’s students are unable to take up these opportunities or participate in sporting or cultural activities due to economic circumstances, lack of family support etc. This fund will assist those students who desire to take up these opportunities but don’t currently have the means to do so. Also, what many people don’t realise either, is that the Ministry of Education only fund schools for “operating costs” ie teachers’ salaries, maintenance of existing buildings etc. If a school wants to build a new gymnasium, music facility, upgrade the rugby fields etc, the majority of the funding required needs to be raised by the school via Old Boys’ donations, community support, trust funding etc. PNBHS have some exciting projects planned and need Old Boys’ support. 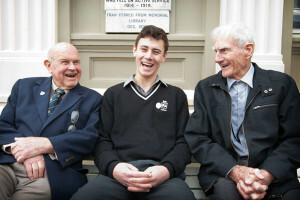 We are asking for Old Boys and “Friends of the School” to consider giving a small ongoing monthly donation to the fund. Many Old Boys have set up automatic payments from $20- $50 per month, however, those who would like to contribute more are encouraged to consider doing so, while those who would like to donate less are encouraged to donate whatever they feel comfortable with. Every donation is welcomed and appreciated. Being a charitable trust, donations are tax deductible. At the end of the financial year the Trust’s accountant will send you a tax deduction rebate which will enable you to claim one third of your donation back. For example, if you set up an automatic donation of $50 per month (ie $600 per year), you would be able to claim $200 back in tax. In essence, your annual donation would be $400. When you break this down, this is equivalent to approximately 3 tanks of petrol per year, or just over $7 per week. Who controls the money and makes the distributions? The fund is controlled by the Trustees of the PNBHS Educational Foundation Trust (which includes the Rector, the Chairman of the Board of Trustees, a staff representative, and 4 other elected Trustees). The Rector makes recommendations as to where he believes there is a need in the school that requires support. The Chairman of the EFT sends out a report at the end of each year to members of the GBF outlining the amount of money being held, and any distributions the Trustees have made throughout that calendar year. He also outlines any projects that are coming up that may need supporting. We would encourage all Old Boys to seriously consider contributing to this Old Boys’ Fund, no matter what the size of the contribution you are able to make. When setting up your monthly donation, please put your surname and last year at school as the reference (eg Smith 76) on the automatic payment form. If possible, for ease of accounting purposes please have payments come out on the 10th of the month. If you could also send an email to GBC@pnbhs.school.nz to let the school know you have joined, it would be appreciated. Most of us know PNBHS punches way above its weight. A small contribution from a lot of Old Boys will help the school achieve its goals of maintaining its high standards and producing young men of outstanding character! We would encourage you to encourage other PNBHS Old Boys you know to also support this fund.